Andy Murray suffered his earliest Grand Slam exit for five years as he lost a gruelling fourth-round contest against 15th seed Kevin Anderson. The South African won 7-6 (7-5) 6-3 6-7 (2-7) 7-6 (7-0) in four hours and 18 minutes to reach a first major quarter-final, where he faces Stan Wawrinka. 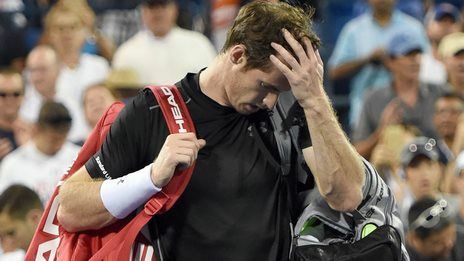 It is the first time since the 2010 US Open that Murray has lost before the quarter-finals of a Grand Slam.